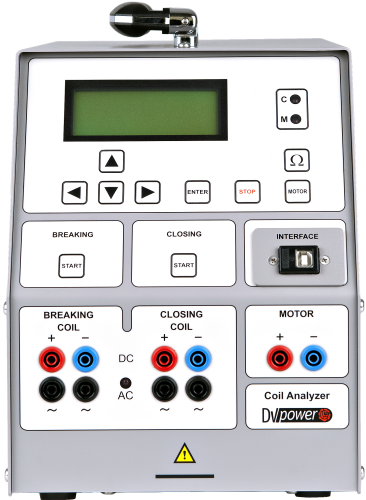 The SAT30A coil analyser is powerful, lightweight and ideal for the testing of circuit breakers when a substation battery is not connected or available. This instrument is intended to supply power to circuit breaker coils and spring charging motors during manufacturing, commissioning and maintenance testing. 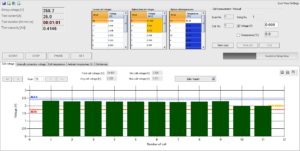 Complete circuit breaker analysis can be performed when used in conjunction with the DV Power range of CAT Circuit Breaker Analysers. The flexible SAT30A is also compatible with CB analysers from other vendors. The SAT30A measures the current and the resistance of circuit breaker coils. 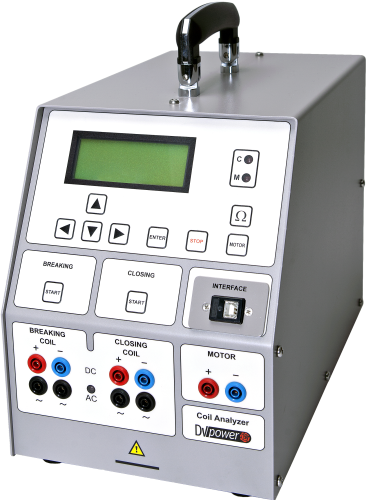 This unit can also test the minimum trip voltage of circuit breaker coils. The output voltage is selectable from 10 V to 300 V DC or from 10 V to 250 V AC. This is equipped with thermal and over current protection. The SAT30A has the ability to cancel electrostatic and electromagnetic interference in electric fields. It is achieved by efficient filtration. made possible by proprietary hardware and software.